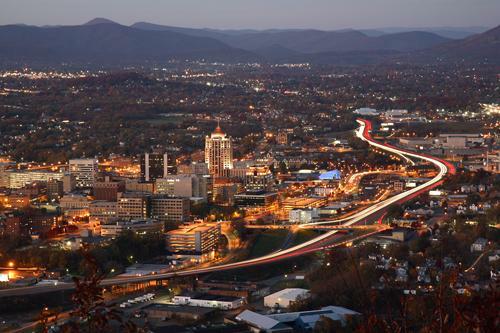 The south central and southwestern areas of Virginia including Danville, Martinsville and Roanoke, have traditionally been underserved with regards to engineering. However, these areas combine to serve as a major contributor to the economy of Virginia. Industries in the region have literally fueled the growth of this country dating back to the industrial revolution. The coal mined in West Virginia has been hauled along the rail corridor now owned and operated by Norfolk Southern Corporation to the seaport of Norfolk, VA for over 100 years. The structures and buildings that fuel this and the other industries and house the residents of Danville, Martinsville and Roanoke can benefit from the structural inspection services we provide. Our structural engineers are qualified and licensed to provide engineering and structural inspection services in Danville, Martinsville and Roanoke. We can assist real estate transactions by reviewing structural problems that may have been noted by home inspectors and appraisers along with performing FHA / VA foundation inspections for manufactured homes. We can also work with homeowners to diagnose causes of structural distress they observed, review structural work performed by contractors or discuss the opportunities for additions or modifications to the floor plans of their home. Along with our residential structural inspection services, we also work with property owners to review buildings and structures they own or are looking to purchase. We recommend periodic structural inspections of industrial facilities and parking decks to help prolong the lives of these structures. Please contact our structural engineers today to see how we can assist in reviewing your home or building!